As your family grows, your home should too. And while many families decide it is best to move to a new, larger house, for many others, building an addition onto their current home can provide many benefits at a fraction of the price. At Doppler Construction, we offer excellent Cedar Lake home additions for your current residence, allowing your space to grow along with your family! Keeping your current home – The longer you’ve spent in one house, the more happy memories you will leave behind when you move. Changing homes can be a difficult and emotional experience while building an addition can allow you to find a newfound love for your old space. Rating this sort of thing is difficult, but the more history you’ve built in an area, the harder it is to leave. Improving your property value – Adding a tasteful addition to your home will enhance your property value and the specs of your home for people looking to buy. This is especially true if your Cedar Lake home addition expands the number of bedrooms or bathrooms in your home. From a purely economic perspective, this is well worth the cost of a new addition. Customizing your space – There is nothing quite like a blank canvas and all the endless possibilities it brings. That’s exactly what a home addition is: a new space where you can bring your dreams to life. If you’re the creative type, a room addition gives you the perfect space for self-expression and experimental design. Remaining a part of the community – Wherever you live, you are bound to be a part of one community or another. Often, even moving a few miles away can disrupt your web of friends and acquaintances, your hangouts and favorite restaurants. An addition will not only let you keep the same house- it will let you keep the same community you’ve built over the years. While all these benefits may tip the scales in favor of a home addition, it is also important to remember that you will probably be saving much more money as well. At Doppler Construction, our Cedar Lake home additions are affordable and beautiful, while still allowing you plenty of room for customization and exciting design. There are many reasons you might want to add an addition to your current space. For many, a growing family can get cramped in a home, and children may grow to need their privacy and bedrooms over the years. For others, an addition provides an excellent opportunity for creative expression and gives them the chance to design an alluring and unique space. Whatever the reasons, we have many years of experience designing additions — and have helped our clients create stunningly beautiful spaces throughout their homes. 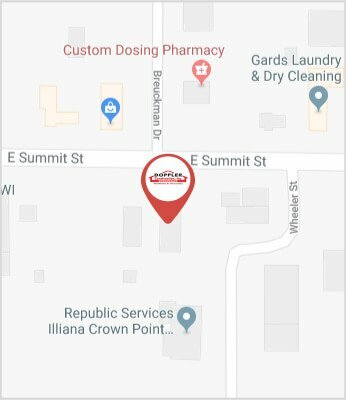 Give us a call today to speak with one of our construction experts, or go to our online contact form and describe what you would like from our Cedar Lake home additions service. We’re happy to help!